The George S. Eccles Research Award in Finance and Economics is given to faculty members who have demonstrated the greatest promise in their area or areas of research. The selected faculty members each receive a $30,000 award to be used toward their research. Listed below are the three most recent recipients and the research that the Eccles Research Award helped to support. Marina Halac, the David W. Zalaznick Associate Professor of Business, focuses her research on contract theory, game theory, and mechanism design. She has developed theoretical models to study issues such as the structure and dynamics of employment relationships, the problem of how to motivate innovation, and the design of fiscal rules to constrain public debt. Professor Halac is using the Eccles Prize Award honorarium to pursue further research on delegation. Together with Pierre Yared, Associate Professor of Business, she is studying the optimal joint design of delegation and verification: what is the optimal rule for a principal if in addition to constraining the agent’s choices, the principal can choose to conduct a costly audit to verify the agent’s information? This project will shed light on a variety of applied questions, such as how fiscal rules should make use of escape clause provisions, and how audits should be used in capital budgeting in organizations. Jonah Rockoff, Associate Professor of Finance and Economics, focuses much of his research on the management of public schools, including performance measurement, accountability, and organizational structure. In two recently published papers, Rockoff explores methods for using standardized tests to measure the contributions of teachers to student learning in English and mathematics, and whether students assigned to more effective teachers during elementary and middle school exhibit long-run improvements in labor market earnings and other outcomes. He concludes that statistical methods based on standardized tests are robust to many sources of potential bias, and that the present value of having a highly effective teacher, relative to one of average quality, is over $250,000 per classroom. Rockoff is using the Eccles Prize Award honorarium to pursue research on the recruitment and evaluation of teachers. Some of this work is in partnership with the Washington DC Public Schools, who are engaged with Professor Rockoff on research to improve processes for screening and selecting the most promising individuals among its applicant pool. Emi Nakamura, Associate Professor of Business and Economics at Columbia Business School and the Columbia University Department of Economics studies issues related to macroeconomics, international economics, finance, and empirical industrial organization. Her research focuses on developing new empirical evidence on the effects of monetary and fiscal policy, as well as on macroeconomic measurement. Nakamura is using the Eccles Prize Award honorarium to pursue research on measuring the costs of inflation. This project is part of a decade-long research project that Nakamura has been working with coauthors Jon Steinsson, Patrick Sun and Daniel Villar to construct a broad-based database on individual prices in the U.S. economy going back to the late 1970’s. This work will substantially advance the ability of monetary economists to study how inflation affects the economy. While inflation has been low and stable since the late 1980’s—the period for which data existed prior to Nakamura’s work—the 1970’s was the start of the “Great Inflation” which represents one of the most important macroeconomic episodes of the past century. Nakamura is using the Eccles Prize Award to complete the construction of this important dataset. Amit Khandelwal, the Gary Winnick and Martin Granoff Associate Professor of Business, focuses his research on international business issues. 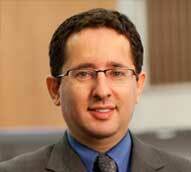 His research has examined the effects of trade barriers and the uptake of new technologies. In a recently published paper, Khandelwal found that one important benefit of liberalizing trade is that high-quality imported inputs become accessible to domestic producers, encouraging them to launch new products. He also found that liberalizing trade generates significant economic benefits partly because it removes weak institutions that do not benefit consumers and which impede the removal of trade barriers. Khandelwal is using the Eccles Prize Award honorarium to pursue research on the barriers to adoption of new technology. In a recent paper, "Organizational Barriers to Technology Adoption: Evidence from Soccer-ball Producers in Pakistan,” Khandelwal studied incentives for the adoption of new technology and measured the diffusion of technology within Pakistani firms that produce soccer balls. 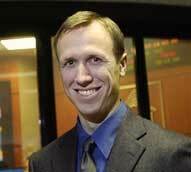 Paul Tetlock, the Roger F. Murray Associate Professor of Finance at Columbia Business School, studies issues related to behavioral finance, asset pricing, and prediction markets. His research tests existing asset pricing models, as well as rational and behavioral models of why stock market investors trade. During the 2012-2013 academic year, the George S. Eccles Research Award in Finance and Economics helped Tetlock pursue three major research projects. These projects aim to enhance our understanding of the relationship between investors' knowledge and stock behavior, and the effect of short selling on stock prices. Working with Lars Lochstoer, an associate professor in the Finance and Economics Division of Columbia Business School, Tetlock is conducting textual analysis of news articles to determine which economic topics garner the most attention from investors. In particular, they are testing the hypothesis that investor attention to specific topics — for example, the "fiscal cliff" — could be linked to the stock market's overreaction to news regarding these issues. In order to better understand how short selling affects stock prices, Tetlock is examining whether short sales by retail traders predict low returns for stocks and what causes this phenomenon. Using a large database of retail trading, he is testing competing asset pricing theories that feature short selling. His findings suggest that retail shorting best predicts the prices of small stocks that have low analyst and media coverage, high idiosyncratic volatility, and high turnover. On behalf of the Annual Review of Financial Economics, Tetlock is currently working on a literature review that will discuss new methods for measuring investors' information sets. The paper will explore passive means of information gathering by investors, including newspapers, press releases, and 10-Ks, as well as active channels, such as investor Internet searches and the use of social networking sites like Facebook and Twitter. Professor Oded Netzer's research aims to develop quantitative methods to gain a deeper understanding of customer behavior while guiding managerial decisions. Capitalizing on the data-rich environment of the twenty-first century, he works to leverage data more effectively in order to address pressing business problems. During the 2011-2012 academic year, the George S. Eccles Research Award in Finance and Economics helped Netzer to pursue two research projects that are generating meaningful knowledge from a wealth of data. These projects are not only garnering valuable insights about consumer behavior, they are also helping to develop tools for the world of marketing research. As the world's largest professional social network, LinkedIn connects over 175 million individuals around the globe. The majority of LinkedIn's revenue comes from providing job search solutions, which relies on the company's ability to identify and target job seekers. However, few job seekers will publicly announce that they are searching for a job, posing a major challenge to LinkedIn's efforts increase its revenue stream. Using a large-scale dataset from LinkedIn, Netzer and his co-author are working to identify job seekers by observing the ways in which they utilize the LinkedIn website. Leveraging his expertise in uncovering customers' latent states, Netzer is able to predict which customers are looking for jobs by examining their online behavior. Using unstructured textual data from loan applications in a peer-to-peer micro-lending website, Netzer is trying to predict which applicants are likely to receive a loan and which are likely to default on their loans. His work has demonstrated that examining the language used in applications can help predict whether or not customers will receive the loan and default on the loan over and beyond traditional economic measures like credit ratings. This research could provide firms with additional tools to weed out applicants likely to default, helping them to increase their profits and better target potential customers. In addition, Netzer's findings could help create more effective loan applications by offering strategies for wording questions in ways that generate more useful — and more predictive — answers.